Jack the Ripper was just the beginning. In 1889 New York, 22 year-old Scott Carson retreats to his parents’ basement on 69th Street. Unwilling to venture back into the world, the reclusive engineering genius is still licking his wounds after winning his final battle with Jack the Ripper and trying to reassemble his shattered psyche. Then his friend Jacob Riis, desperate to get him back into the land of the living, shows him a photograph given to him by a detective that seems to be of a dead girl sitting on the lap of an adult hidden by a shroud. Carson quickly realizes this person who’d had delivered the photo to NYPD HQ on Mulberry Street may be a more advanced photographer than him and his interest is piqued. Riis introduces him to this detective, Angelo Delmonico (of the famous restauranteur family) and he finds the scientific-minded detective and he are of a similar mind regarding this new killer. Together with teenager Kelley McCarthy, a pioneering female urban explorer "who goes where even the rats don’t go", the trio chase an ingenious and elusive serial killer who is murdering little girls and turning them into human dolls. The next part in the Scott Carson saga, A Game of Hangman, is almost complete and will likely be out before the end of the year. It's literally 99% drafted out. 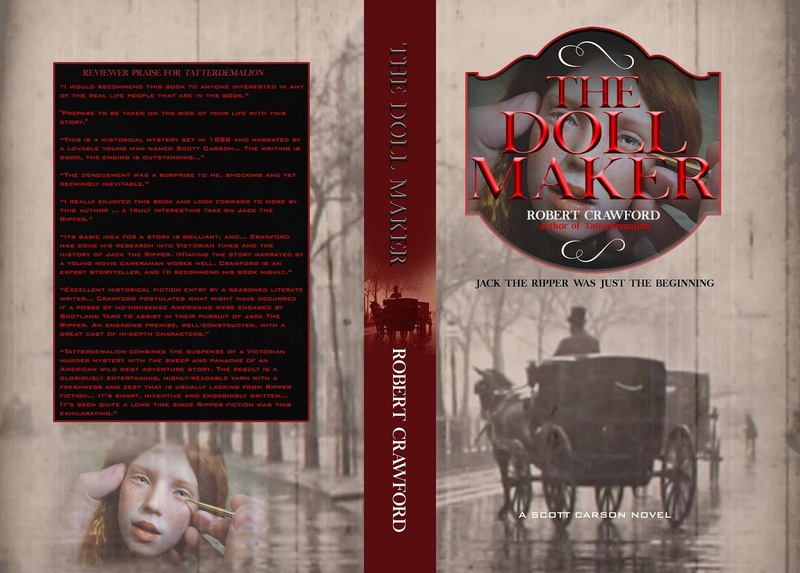 So pre-order The Doll Maker. Wow, I'm amazed you actually found that. Yep, that was me in my pre-blogging days. That's still the only piece of fanfic I ever wrote.